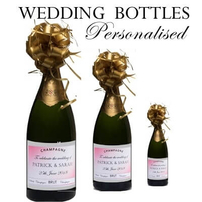 Exceptionally crafted personalised Champagne gifts - personalised by you, beautifully presented by us! 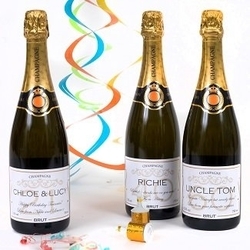 Personalised Champagne Gifts for all Occasions - each category in our collection has a beautiful range of gifts and we pride ourselves on providing something for everyone and there should be something for every occasion: personalised Champagne Wedding Gifts, Gifts for Her, Gifts for Him, Mother and Baby, personalised Anniversary Champagne Gifts, and personalised Champagne Graduation Gifts to name but a few. 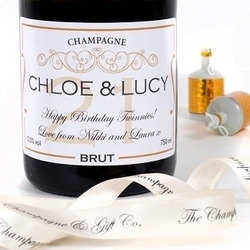 Our personalised Champagne Birthday section is filled with choices and we have labels tailored for special birthdays 18th, 21st, 40th, 50th, 60th all the way up to 90th birthday gifts. We are certain you'll find the gift inspiration you need in each of our tailor-made categories some of which are below and all are at the top of the page. We capture the magic of gift giving - discover our exceptional stylish and bespoke personalised Champagne gifts. It's a special feeling when you unwrap a gift of personalised Champagne and all our personalised gifts are stylishly presented . . . a pleasure to give and a delight to receive! 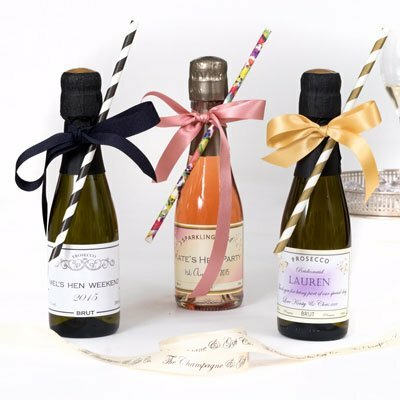 We have a lovely selection of Champagne & Prosecco gifts with stunning personalised labels - choose from our exclusive range of label designs to suit any occasion. 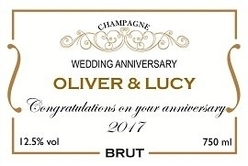 Personalised Champagne with a photo is even more personal and you can download your favourite photo onto one of our labels and personalise it further with a name or message. Add an extra touch of luxury to your personalised Champagne gift in "Finishing Touches" - choose a stylish gift box, Diamante crystals or deliciously dark chocolates. 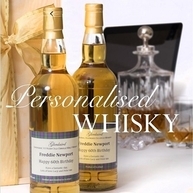 Enjoy creating your own personal label online, alternatively, we will create one especially for you at no extra charge. We capture the magic of gift giving. Discover our exceptional, stylish and bespoke personalised Champagne gifts. It's a special feeling when you unwrap a gift of personalised Champagne and all our personalised gifts are stylishly presented . . . a pleasure to give and a delight to receive! TAKE A JOURNEY INTO OUR SPARKLING WORLD . 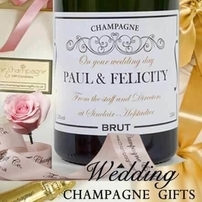 . .
We have an exceptional selection of Champagne & Prosecco gifts with stunning personalised labels - choose from our exclusive range of label designs to suit any occasion. Enjoy creating your own personal label online. Our unique “create your own label” system is very easy to use. 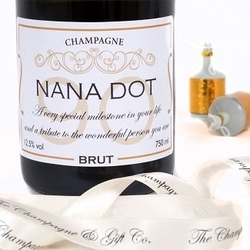 Our experts are always ready to help create your personalised Champagne gifts right away. You can personalise your label with a name, message, significant date such as birthday or anniversary... or you can use treasured photographs and pictures too. All our orders are hand prepared to your exact specifications and you can choose your bottle presentation. 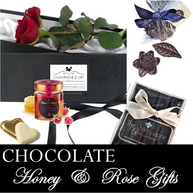 We offer a large choice of gift boxes some of which are exclusive to us. You can be sure that your Champagne gift set will be exactly as you had in mind. Our luxury gift wrapping service guarantees that your personalised Champagne will be a delight to receive. All gifts come with a complimentary Message Card or for a message that is longer or a poem you can choose a personalised scroll. The scroll comes rolled with a beautiful ribbon and fits perfectly in with a bottle. To add a further touch of sparkle you can also choose to add crystals to your bottle or label. 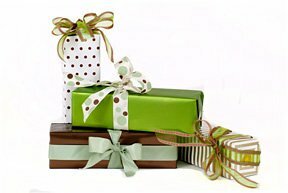 We are trained in the art of gift wrapping and you can choose Traditional or Luxury gift wrap. Our bespoke bottles are all carefully curated and hand finished with a stunning bow. 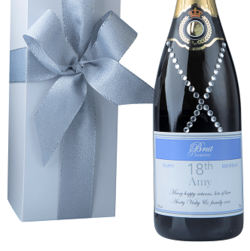 Send a bottle of Champagne with us and you will be delighted - it's the finishing touches that make all the difference! Many of our customers prefer to phone us for help with a special personalised label design or just to place an order to save your time! Let your business clients and associates know just how much you value them. 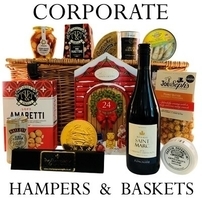 There is no more impressive way to promote the name and the message of your company or your campaign than by giving a luxury, branded bottle of beautifully presented corporate branded Champagne, or one of our sumptuous hampers. Each gift is accompanied by a personalised gift message card. 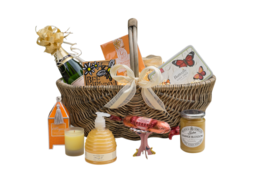 We can send your branded gift either directly to the recipient or to yourself to hand deliver. 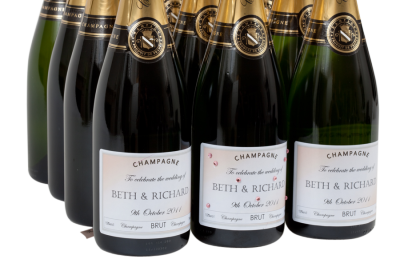 A perfect way to say "thank you"
For events, bottles of personalised corporate Champagne with your company name and logo on a custom designed label is a wonderful way to help build your profile. our miniature Prosecco bottles are popular are for events. 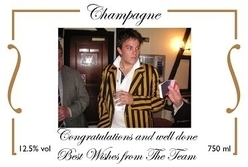 Corporate branded Champagne is very impressive and ideal to thank clients or as a staff incentive or prize. Once we have designed your label it will be saved on our system so that it is quick and easy for you to reorder. 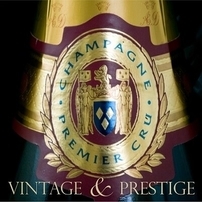 We also have an exclusive selection of vintage and prestige Champagnes. 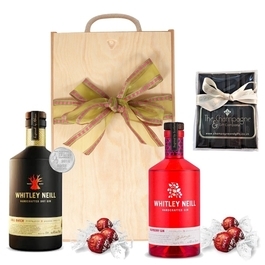 Each bottle can be sent on its own in clear wrapping or enclosed in a luxury gift box. 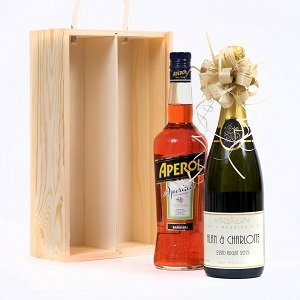 We offer a choice of contemporary cartons in red or silver or wooden presentation boxes. We can include a complimentary gift card with the name of the recipient and a personal message. 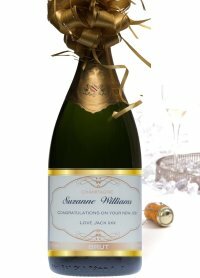 Make your prestige Champagne gift extra special with a custom label to which you can add your choice of name and/or personal message. Corporate customers use our services for Christmas gifts, retirement, anniversaries, incentive programmes, seminars, and company events. We can brand gifts with your logo and/or company name. 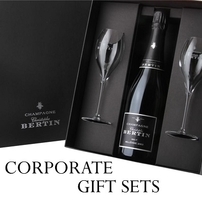 We will ensure your corporate Champagne gifts are appreciated and that they represent your company effectively. Mini branded Prosecco bottles are a great way to advertise your company brand and we can cater for and have a quick turn around on large orders. Miniature personalised prosecco is very popular for events and product launches. We are used to working with PA's and understand just how busy your life can be. It's easy to place an order with us by phone and email. Simply contact us with your gift requirements and we will take care of the rest for you. 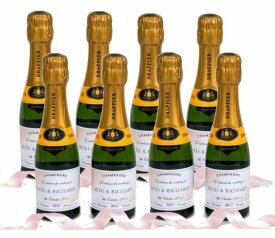 Personalised wedding Champagne is ideal for truly original and memorable table settings or guest favours. 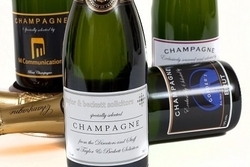 Look no further than our selection of Champagne personalised with your own label. 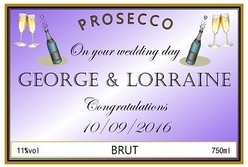 It’s easy to create Wedding Champagne online using our speedy label designer. 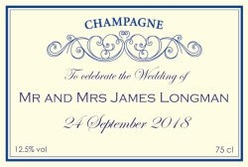 Simply select your personalised Champagne label design from our “Weddings” category and add your unique message. 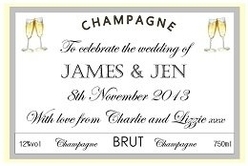 Choose from our special selection and create your very own personalised wedding Champagne label. 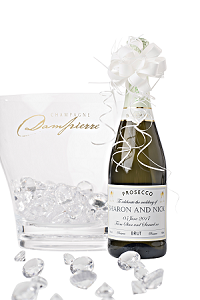 We have a stunning selection of Champagne and Personalised Prosecco gifts for Weddings. 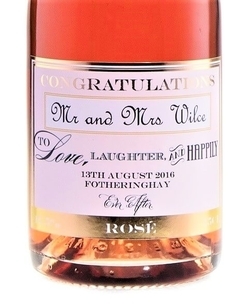 A wonderful surprise gift for the future bride and groom is a bottle of Champagne with your own personal message – this can even include a photo on the label to make your gift more intimate and special. Our personalised wedding Champagne gifts are beautifully presented - Shop our wedding collection to find the perfect wedding Champagne gift. We have carefully selected the finest wines, which can be personalised and presented in a stylish gift box of your choice to create a luxury present. Our wines are from the warm soils of the Languedoc Region in the South of France and have a wonderful flavour. You may enjoy Red, White or Rosé ... you may be looking for a single bottle or a mixed case. We can create the perfect wine gift for you. A personalised bottle of fine wine makes a wonderful gift to commemorate any special occasion or simply to say thank you! Shop our collection and create your very own personalised wine bottle. Make your personalised bottle gift extra special. 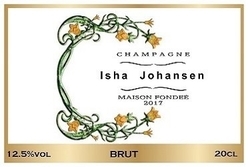 After creating your Champagne label, you can choose to decorate with sparkling crystals. We can add crystals to the bottle and/or the label - a truly special gift! The PERFECT gift for that friend who loves a glass of fizz! 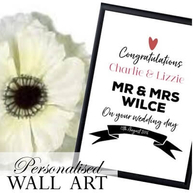 Add some sparkle, glitz and glamour to your personalised gift. Sophisticated and stylish our elegant Champagne and Prosecco bottles look stunning with sparkling Swarovski inspired ‘Diamante’ crystals. The crystals can be put on the label or the bottle and on special commissions we will add them to the label on the box (see above). 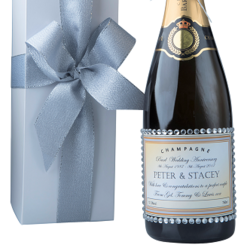 Each personalised Champagne gift can be sent on its own in clear wrapping or one of our luxury gift boxes. Above are a few examples of our personalised Champagne in a wooden gift box - our boxes come in all sizes from one bottle to 12 bottles. 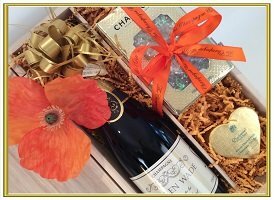 We can personalise your gift box and you also have a choice of luxury Champagnes. We take immense pride in our gift presentation and each gift is matched with a stylish hand-tied bow. For finishing touches, our luxury gift wrapping service adds that special touch to guarantee that your personalised Champagne gift will be a delight to receive. Celebrate a special occasion in style with one of our bespoke luxury Champagne and flute gift sets which come beautifully boxed. 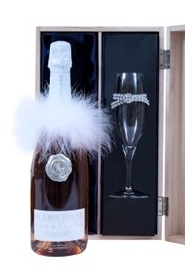 A bottle of our exquisite personalised champagne along with one or two elegant Champagne flutes manage to create a special Champagne gift that will be treasured. An engraved Champagne flute will ensure that your gift will be remembered for years to come! It makes a wonderful gift to mark the occasion. 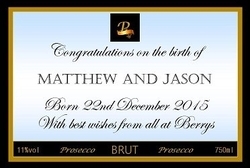 Your personalised Champagne and flutes can be engraved with a name, date or short message. 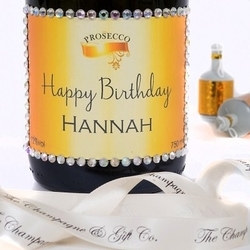 Personalised Prosecco is a brilliant bubbly alternative to Champagne and makes the perfect treat for a fizz lover! Celebrating a special occasion or just looking for something different for a loved one? 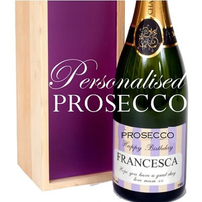 We have a stunning selection of Personalised Prosecco gifts. Choose from our exclusive collection of stylish personalised label designs and send a personalised bottle specially created by you. 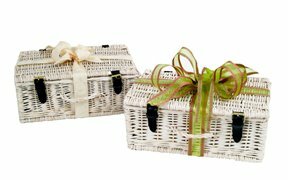 Our gifts are ideal for special occasions such as Birthdays, weddings, anniversaries, Christmas, graduation parties, new baby and family celebrations. Thinking of sending Prosecco as a gift? 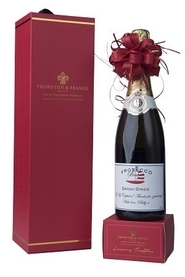 We can send your personalised Prosecco gift anywhere in the UK or internationally. 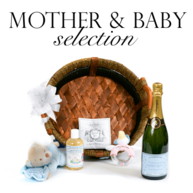 It can be sent on its own or alongside a luxury gift from our beautiful selection. 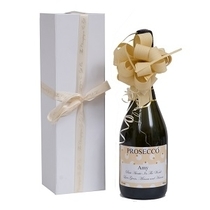 We can send your Prosecco gift to you to hand deliver or directly to the recipient. All our personalised gifts include a complimentary gift card to which you can add your own special message for an extra personal touch. 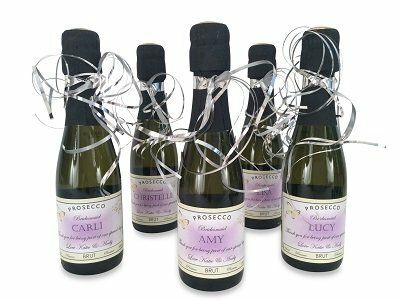 Kosher Personalised Prosecco - Our personalised Kosher Prosecco is slightly fruity and creamy and a best Kosher gift for any occasion. It is prepared under the Supervision of Rabbi G.M. Garelik of Milan Kosher for Passover. 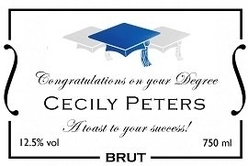 You can create your personalised Kosher Prosecco label very easily using our unique system. We have a large selection of labels to choose from for any occasion. You can add a message and/or image for a truly special Kosher gift. 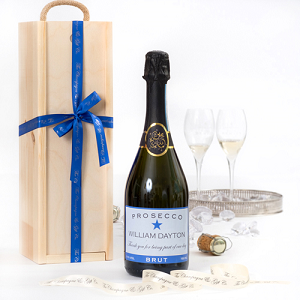 Each personalised Prosecco gift can be sent on its own in clear wrapping or one of our luxury gift boxes. Above are a few examples of our personalised Prosecco gift sets - our boxes come in all sizes from one bottle to 12 bottles. We can personalise your gift box and you also have a choice of Proseccos. We take extraordinary pride in our gift presentation and each gift is matched with a stylish hand-tied bow. For finishing touches, our luxury gift wrapping service adds that special touch to guarantee that your personalised Prosecco gift will be a delight to receive. 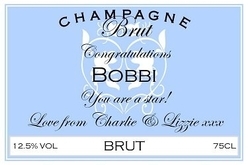 Increasingly popular are our personalised mini Champagne bottles. Bespoke miniatures make unique and very original gifts. 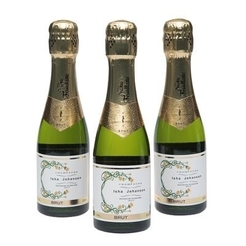 Our mini Champagne bottles are ideal for occasions such as corporate events, parties and weddings. It's one of the best 40th birthday gifts and a great way of sharing and celebrating - give a bottle to each guest with the name of the birthday girl/boy! Talking age - it is also one of our best 90th birthday gifts (what do you give the person who has everything?). 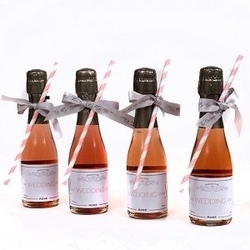 Our mini personalised Champagne wedding favours and miniature Prosecco wedding favours look beautiful. 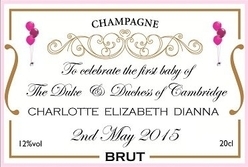 You can personalise miniature Champagne bottles with a name, message, date or even a photograph. 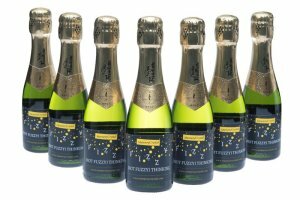 Mini Champagne and Mini Prosecco bottles are ideal for corporate events - they are a memorable way to get your message across and are ideal for anniversaries, products launches and customer parties. 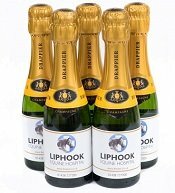 Giving the best bottles of mini Champagne with your corporate logo on the bottle helps with maintaining client relationships and engaging with your customers, users and consumers as well as keeping staff morale high. Personalised birthday Champagne - for sure the best birthday present to remember is a bottle of individually personalised Birthday Champagne. What better way to celebrate than with a personalised birthday Champagne gift, uniquely designed for you. Champagne makes a luxury birthday present for people of all ages. It is one of the best 40th birthday gifts and a great way of sharing and celebrating - give a bottle to each guest with the name of the birthday girl/boy! 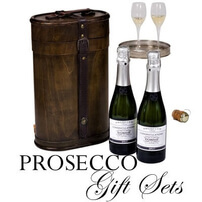 Ever more popular is Prosecco and we have superb Prosecco gifts which can be personalised. 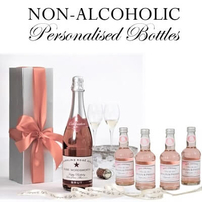 It is a delightful birthday gift for landmark birthdays and we have a range of bespoke labels by age - 18th birthday gifts, 21st birthday gifts, 40th birthday gifts etc. For an extra special gift add a Champagne flute. 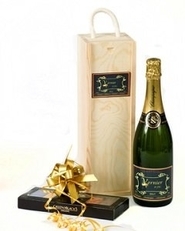 A personalised Champagne and flute gift set is THE perfect way to mark a special occasion. 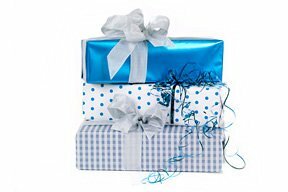 We have a range of best gifts in our Gifts for Her and Gifts for Him collections that are perfect for Birthdays. 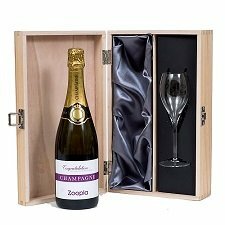 To make your personalised birthday Champagne gift even more special we have a range of lovely Champagne gift boxes to choose from. 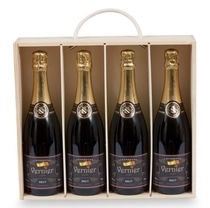 Some of our Champagne gift boxes are exclusive to us. If you would like us to create a special bespoke birthday Champagne gift especially for you just contact us with any ideas you have and we will create the perfect Champagne birthday gift for you. 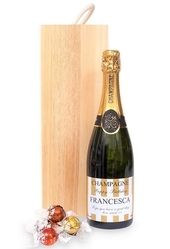 Our personalised Champagne magnums are 1.5 Litre of Champagne - equal to 2 standard Champagne bottles. We have selected one of the finest Champagne magnums. 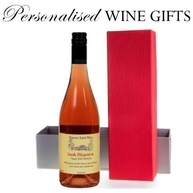 Just add your personalised message and chose from our range of gift boxes. The perfect wedding or anniversary gift or for any event you can think of, enjoy! 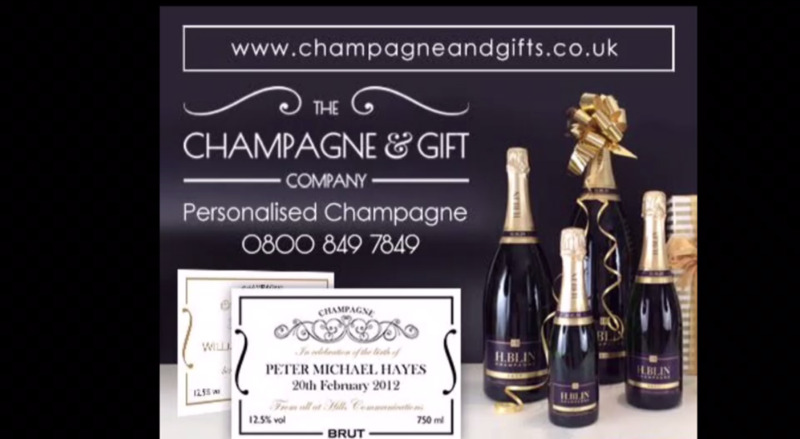 A personalised magnum of Champagne makes a great gift that will keep for a future special occasion. Wine experts suggest that the magnum Champagne size is superior to a regular sized bottle for maturing wine. This is because the ratio of air to liquid is lower in larger sizes, allowing the wine to age more slowly. 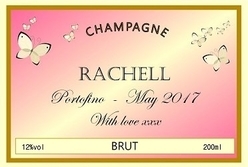 A personalised Champagne magnum is often saved for a future special occasion - christening, first wedding Anniversary etc. A magnum Champagne is one of the best 21st Birthday gifts. 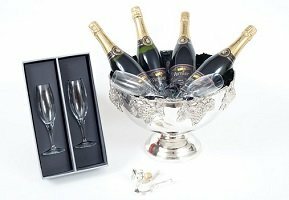 In addition to the Champagne gifts shown on our website, we can source special items, whether they be bottles, packaging or accessories to suit your requirements. 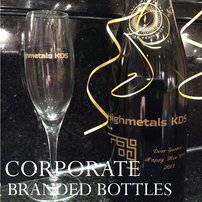 We offer discounts for larger corporate Champagne orders. Whatever your requirement please call us for free advice and a no obligation quote. Pink Champagne! Say it with Champagne by personalising the label of your personalised Rosé Champagne gift with a special message of your choice. A personalised pink champagne bottle makes a keepsake that will last long after the cork has popped. 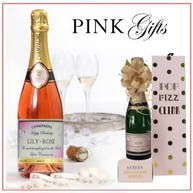 Our delicious Pink Champagne is perfect to mark special celebrations such as weddings, birthdays or anniversaries and is a Champagne gift that will really sparkle! Celebrate a special occasion in style with one of our luxury Champagne and flute gift sets which come beautifully boxed. A bottle of our exquisite personalised champagne along with one or two elegant Champagne flutes manage to create a special Champagne gift that will be treasured. An engraved Champagne flute will ensure that your gift will be remembered for years to come and makes a wonderful gift to mark the occasion. Your personalised Champagne and flutes can be engraved with a name, date or short message. Also new is our exciting Champagne Sabre. 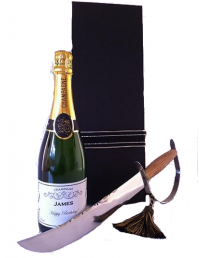 Have you considered using a Champagne sabre to open your bottle of Champagne? of our Champagne sabrage in action! Pink Champagne gift with Champagne flute. A delightful gift for Gin lovers. Two bottles of Personalised Gin with chocolate truffles and luxury chocolate batons. Perfect gift for Gin lovers! 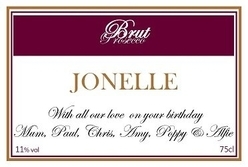 We can deliver personalised birthday champagne gifts the next day. 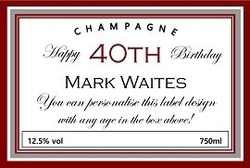 You can contact us directly and we will promptly design a bespoke label for your personalised birthday champagne. When you send personalised Champagne, you can choose the delivery option that suits you. Whichever your choice you can be assured that your Champagne gift will arrive safely and on time and will be a delight to receive. 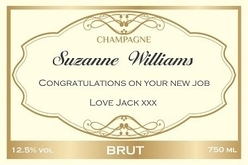 Our customers buy personalised Champagne from us because delivery can be relied upon. We use Parcelforce and APC Worldwide for your UK and international deliveries. We send personalised Champagne to Scotland including the Highlands and Islands and also to the Channel Islands. 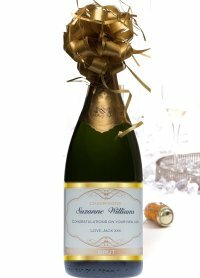 Personalised Champagne Delivered to Ireland and EU Our Champagne gifts can be delivered either to yourself or to your recipient. 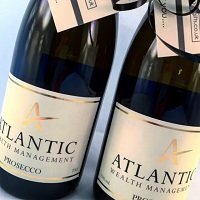 We regularly deliver personalised champagne gifts to Ireland and are a main supplier of personalised champagne EU. 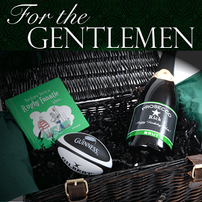 If you want to send a personalised champagne gift to Ireland this can be done on our website. 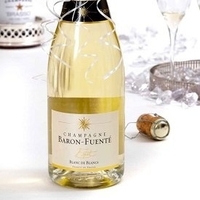 To send a personalised champagne gift to another EU country then please contact us directly and we can arrange this for you at very reasonable rates. 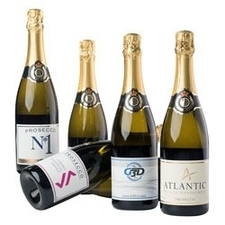 Send Champagne Overseas - we send Champagne gifts all over the world. 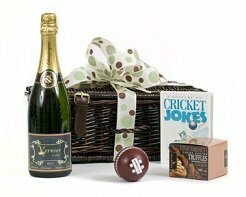 Just contact our team to arrange international personalised Champagne gift delivery. 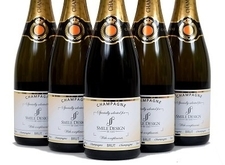 Next Day Delivery Personalised Champagne - We offer next day delivery and when you buy personalised champagne, if your order is placed before 1 p.m. and can offer same day personalised Champagne delivery within the London area. Please contact us directly by telephone for personalised Champagne delivery same day to London.